Research activities focus on handling quality studies and the respective models and methods. Understanding of pilot-airplane interaction is of vital importance. Essential tools for analyses in this field are flight simulation with the research simulator SEPHIR (Simulator for Educational Projects and Highly Innovative Research, under construction) and with the certified Airbus A330/340 Full-Flight-Simulator at the institute. 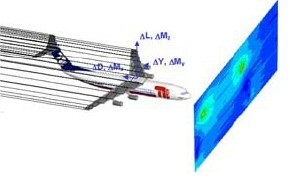 Impact of aeroelastic deformations and complex flow conditions is being calculated with special, real-time methods developed at the department of Flight Mechanics.